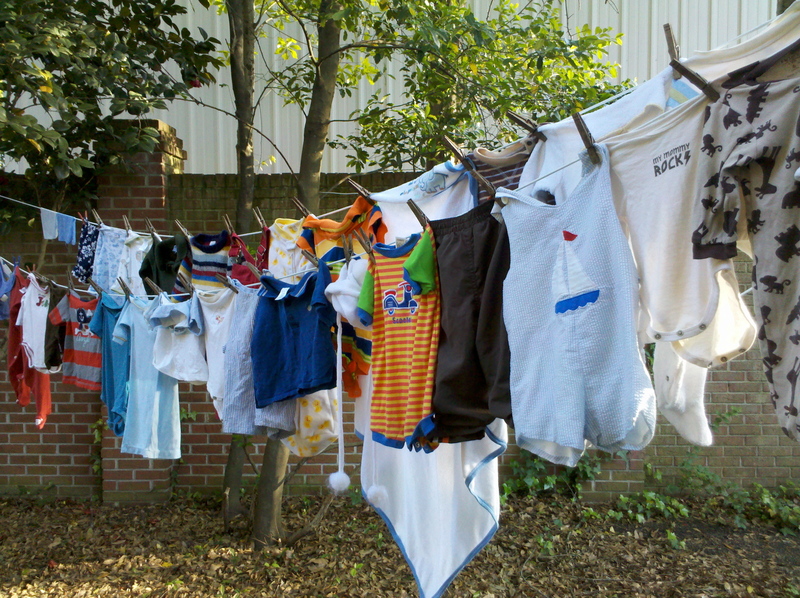 There is a new sight around Casa de la Fredericks these days: Little Man Clothes! I know the day will quickly come when this sight is so commonplace to me that it will inspire chagrin more than anything else. But for now it gives me a little buzz to see all these eensy little things hanging in a row. For such tiny things they sure take up vast amounts of clothes pins! While I don’t seem to have ever caught the full-out nesting bug of pregnancy (mostly I’d just rather sleep than clean the base boards), I have been perusing unknown areas of thrift stores recently. Like the baby clothes and children’s books. There is the usual rush of finding some unexpected and unlooked for treasure in a pile of dusty debris. But there’s also the added frisson of knowing that my baby is going to wear that onesie someday and I ‘m going to read that book to my toddler someday. It’s the thrill of thrifting married to the insistence of nesting that makes shopping for used baby items so addicting. It’s thristing. Or is it nefting? I’m inclined to go with nefting. 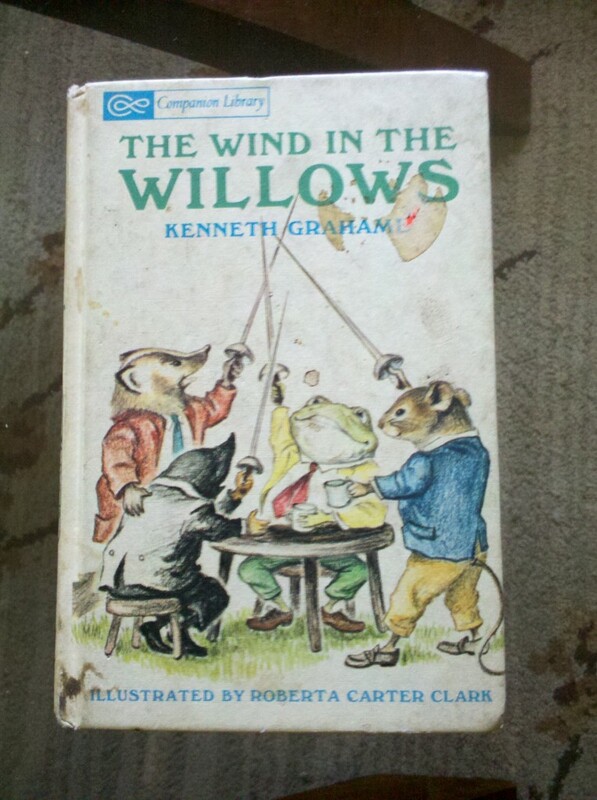 The vintage, well loved copy of The Wind in the Willows. I can’t wait till Theodore’s old enough to read this with me. We can discover this classic together, as I haven’t ever read it either.